Though this photo doesn’t have any snow or icicles on it I took it in the leaf barren trees of Arkansas. Cardinals are beautiful no matter what the setting. 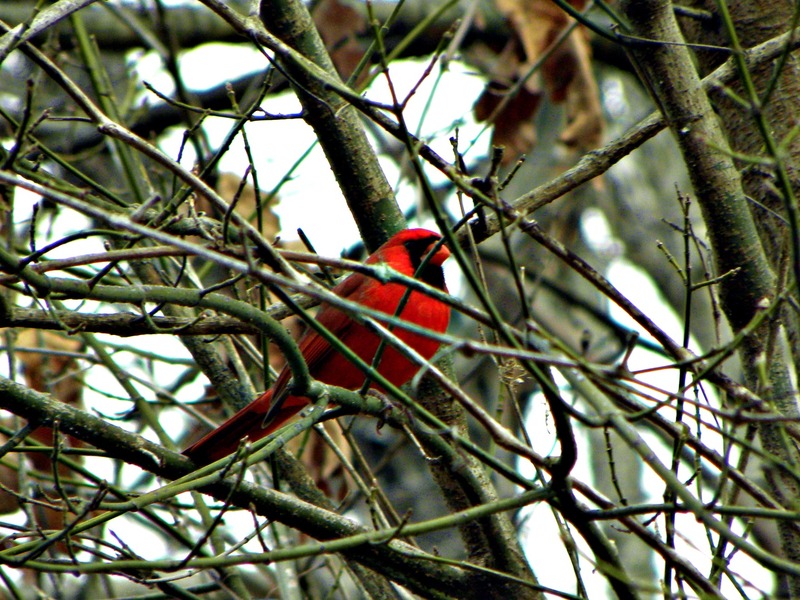 This entry was posted in Photo, Picture from yesterday and tagged bird, cardinal, Found Round and about, nature, photography, picture from yesterday, tisha clinkenbeard photography, tree. Bookmark the permalink. You are so lucky to be able to see these birds they are gorgeous! That is true. I love watching them & if I get a good photo that’s just icing! …especially beautiful in the bare thickets of branches.